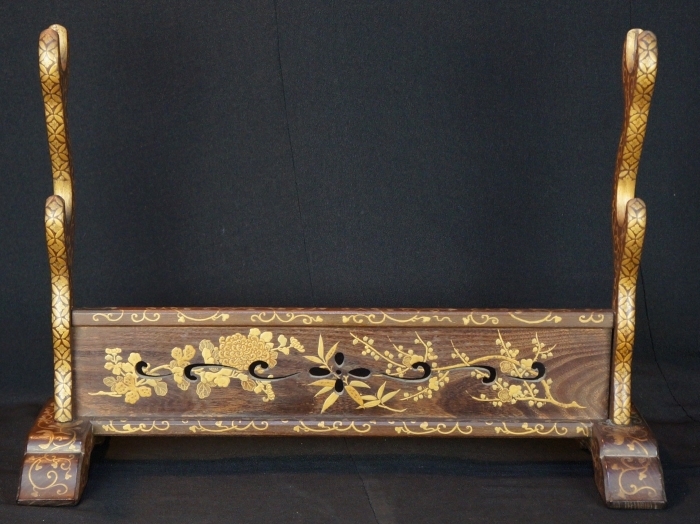 Katana Kake Japanese sword wood holder 1800s Japan Maki-e craft. 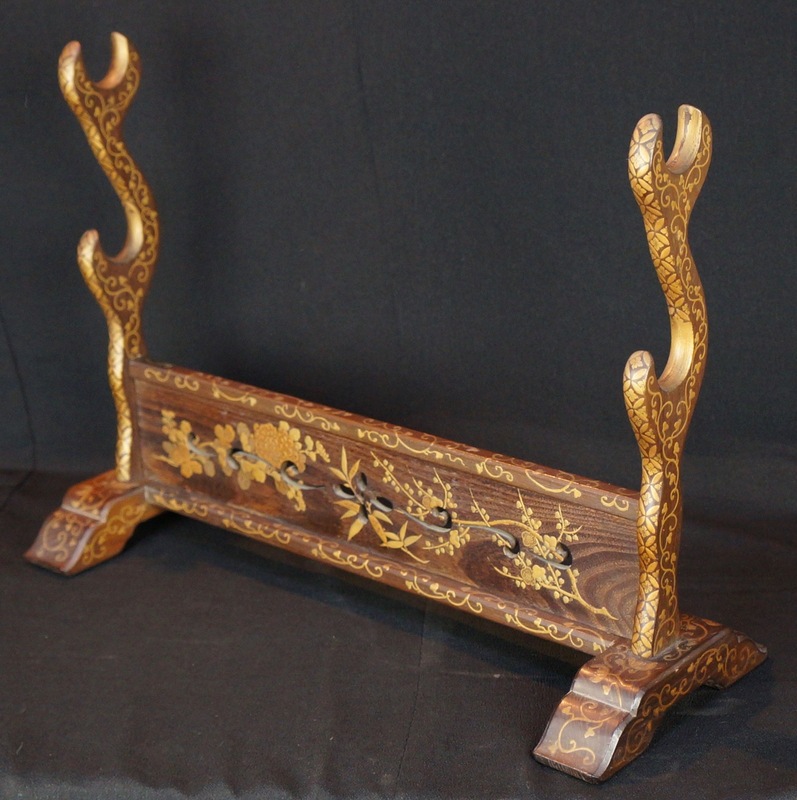 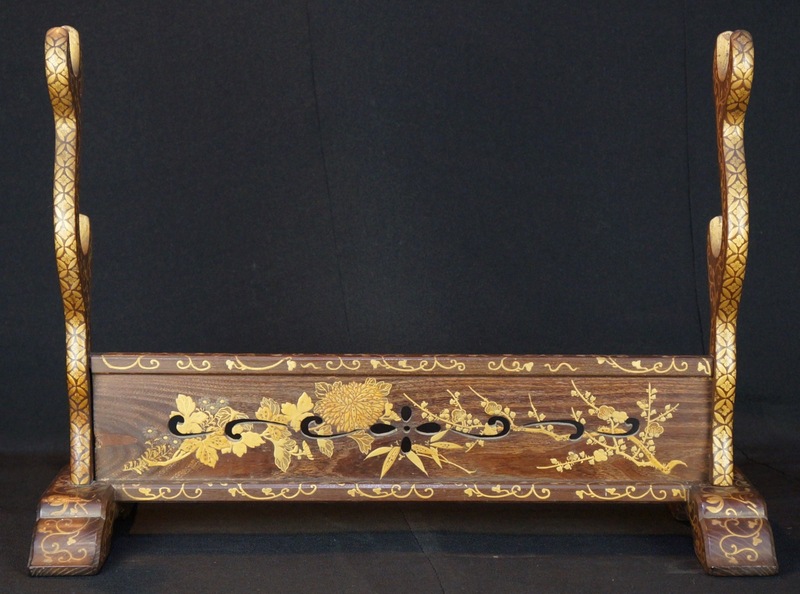 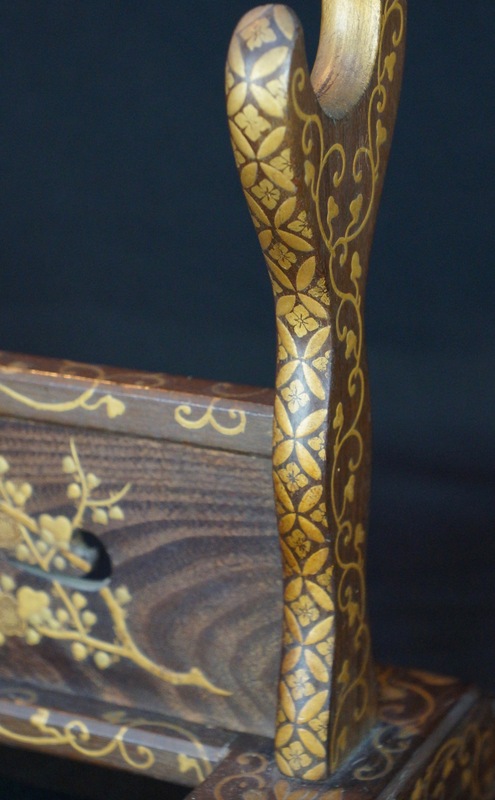 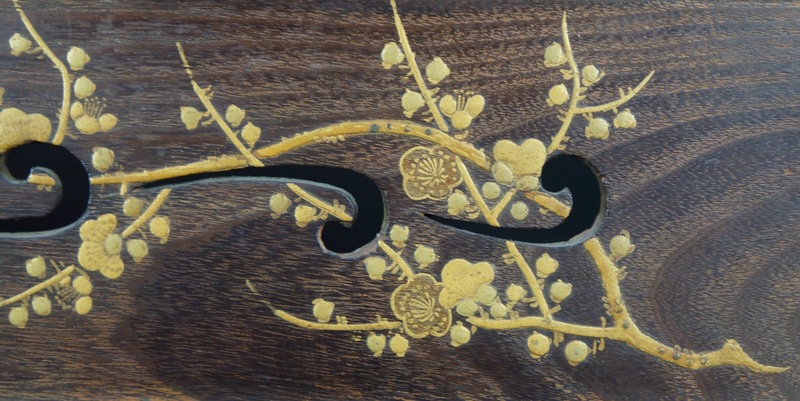 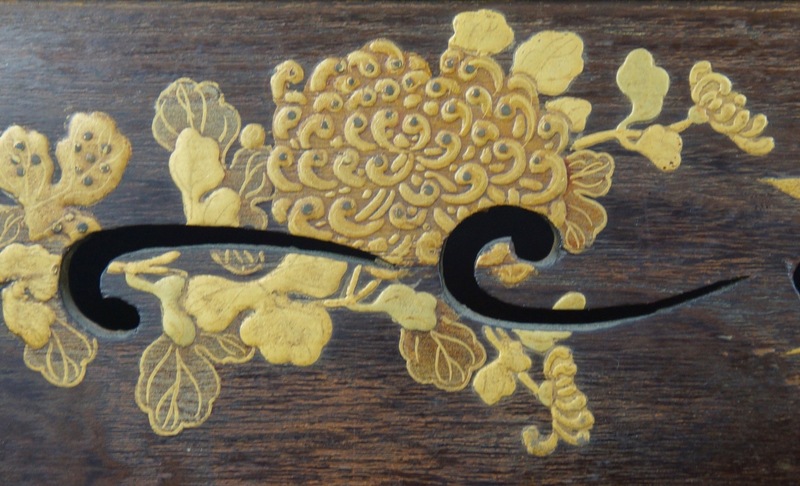 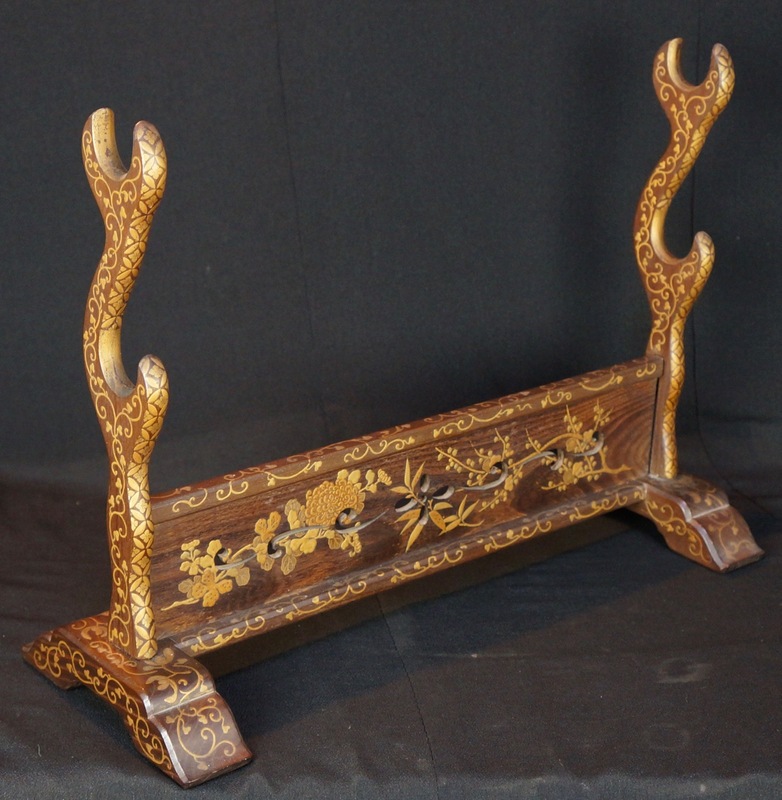 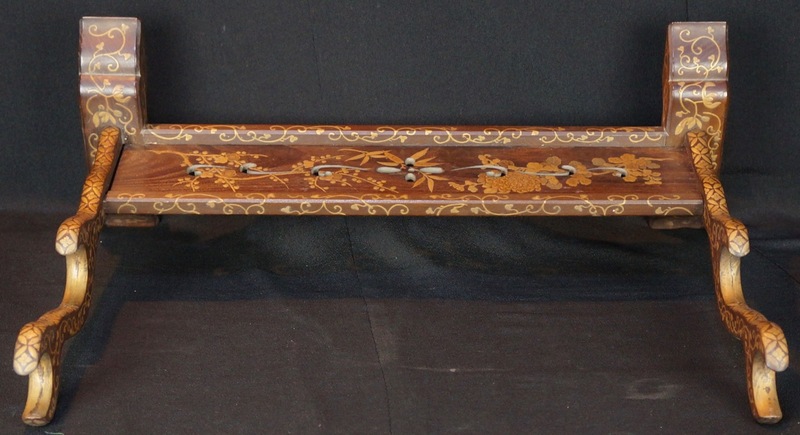 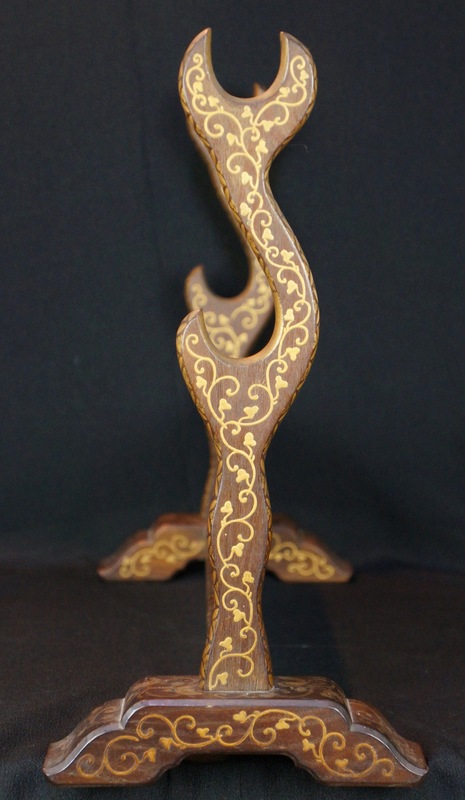 Katana Kake Japanese sward holder, wood structure with Maki-e floral decoration, refined gold lacquer decoration. 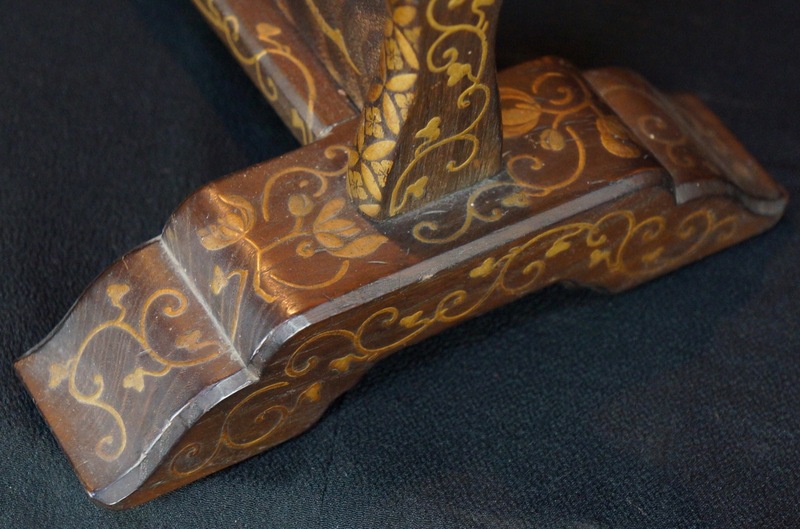 Light wear marks visible, no fractures, immediately usable.